Spartan Band diarist Will H. Hill wrote in his diary on Saturday, July 11, 1863, that the brigade had moved two miles north towards Hagerstown. They were shoveling up fortifications and digging rifle pits to defend against an expected Union attack. “Our pickets are skirmishing with the enemy,” Hill added. Private Robert A. Moore of the 17th Mississippi said the brigade had been relieved in place at Downsville by Hood’s division “& we were sent to the left. They erected earthworks with a 6-foot wide parapet and dug artillery emplacements at intervals and rifle pits for themselves. 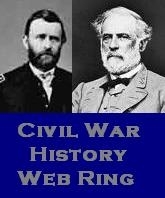 They were finished on Sunday morning, July 12, just as the Union infantry arrived to confront them. But there was shocking and demoralizing news from home. This entry was posted in Barksdale's Mississippi Brigade, The Spartan Band, William H. Hill Diary and tagged 13th Mississippi Infantry Regiment, Barksdale's Mississippi Brigade, retreat from Gettysburg. Bookmark the permalink.